The Professional Inspectors at AGHI.INC are trained graduates of Canada’s leading institutions with demonstrated proficiency in all aspects of the home inspection profession. They follow strict guidelines set out by governing provincial and national associations. As members of OAHI, CAHPI Ontario and CAHPI each inspector is required to have a minimum standard by which they practice their profession, and continuing education is a condition of employment. Each inspector is required to carry full Errors and Omissions insurance. Each inspector has received addition training in the inspection processes developed exclusively by AGHI. The company’s focus is to provide clear communication during the inspection process, while encouraging questions and interactive dialogue with the client. 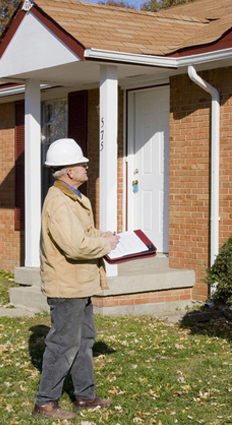 They strive to make the home inspection experience both enjoyable and educational. The latest in digital reporting technology is used to ensure all information is presented in a clear and concise format. AGHI enjoys an excellent level of client satisfaction and guarantees the performance of all inspectors with a full refund policy. AGHI Inc. is dedicated to providing the highest level of professionalism to all of our clients. We focus on clear communication with our clients and make extra effort to ensure your home inspection experience is both educational and enjoyable. At AGHI Inc. we strive to exceed our client’s expectations. We would like you to use our service for your next home Purchase, Sale, New Home Warranty or Maintenance Inspection. Your satisfaction with our service is guaranteed or your inspection is FREE.